From April 10-12, NCMS attended MRO Americas Aviation Week, a leading industry event for commercial aviation and air transport. MRO Americas provided an outstanding opportunity to share knowledge and best-practices, catch a glimpse of industry trends and innovations, and promote the maintenance and sustainment capabilities of NCMS and its network. This year’s MRO featured over 800 exhibitors. MRO Americas regularly hosts over 15,000 attendees who come from air carriers, distributors, suppliers, service providers, the military, and the government. Keynote speeches were delivered by Assistant Secretary of Defense for Logistics and Materiel Readiness Robert McMahon, Associate Administrator for Aviation Safety Ali Bahrami, Alaska Airlines President and COO Ben Minicucci, and United Airlines President Scott Kirby. The event was also punctuated by State of the Airline presentations from NCMS member Delta, Alaska Airlines, American Airlines, Southwest Airlines, United Airlines, FedEx Express, and UPS. 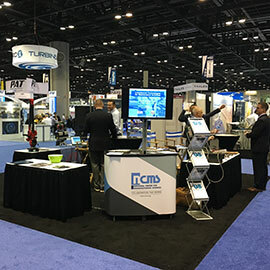 NCMS collaborated with Automated Precision, Inc. (API) and Universal Synaptics on a booth on the convention floor, exhibiting both members’ technologies and sharing information about the CTMA Program. API demonstrated the Omnitrac 2 laser tracker, a portable precision tool for coordinate measurement that’s smaller and lighter than other tools of its type. Universal Synaptics demonstrated their Voyager Intermittent Fault Detector, a diagnostic tool for detecting and isolating intermittent faults in aircraft wiring. 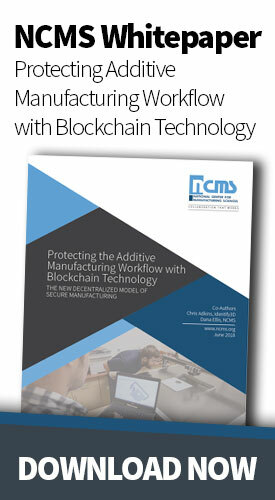 At the same time, NCMS promoted the work done through the CTMA Program and the benefits of becoming an NCMS member. Another highlight of the event was the Aerospace Maintenance Competition, the premier event of the Aerospace Maintenance Council. Intended to promote aerospace maintenance skills and best practices and to recognize the work done by aviation maintenance technicians, the event pitted five-member teams in one of the six categories of Commercial Aviation, General Aviation, Space, Education, Military, and Repair and Manufacturing against one another in a variety of maintenance-related challenges. A similar event, the Defense Maintenance Competition, will be held at the 2018 DoD Maintenance Symposium taking place December 17-20 in Tampa, FL. NCMS is seeking companies interested in featuring their tools and technologies in the competition; please contact Debbie Lilu at debral@ncms.org if your organization is interested in participating.